i came to your planet to research the various acidity levels of your soil. i stayed for the cheeseburgers. 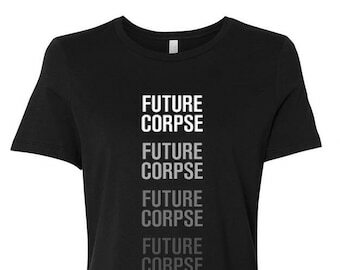 Limited Run Women's Relaxed T "Future Corpse"
Handcrafted in Orange County with a whimsical touch.